Ambassador, Senator, Mayor, Congressman and even President of Ecuador. Developing a sound character in public and private life. The story of a man, Sixto. Sixto Alfonso Durán-Ballén Cordovez, prefers to be called Sixto in a way that invites you like a close friend, yet all rules of diplomacy tell you not to cross that line if you know who he is. He smiles with patient eyes that only those who have the wisdom of 90 years can possess. He speaks with a gentle humor, well steeped in decorum. And in all of his rich yet trying years, he has achieved much that most of us could never have, simply because it wasn’t our specific destiny – it was his. He has held many titles in the last 65 years from Architect to Ambassador, Senator, Mayor, Congressman and even to President, specifically, the former President of Ecuador. It’s an intimidating and impressive list but, he would say, the most important achievements are not titles, but the development of moral virtue and a sound character. We had the great pleasure and honor to speak with him and some family members for several hours about his life, accomplishments, challenges and what he considers the most important foundation for a healthy and rewarding life. Whether personal or public in nature, our discussion continued to reveal many facets of his character, which is one of remarkable integrity, reflected through examples of courage, respect, honesty, commitment, loyalty, patience, kindness, love and generosity. Certainly, this list would have been longer if we had more time. For now, we’ll begin with a simple definition of Integrity:The possession of firm principles; the adherence to high moral and ethical principles, completeness; the state of being undiminished or undivided, wholeness; the state of being sound or undamaged, reliable. Sixto compels us all to do our best to achieve living a life of integrity. It is undisputed that a person who has been successful in this through some of the most extreme pressures of authority and decision-making at the highest levels of leadership, while maintaining a happy family and loving marriage for more than 65 years, surely has a wealth of wisdom to share to any generation. His presidency is known for having ended the longest territorial dispute in the Western Hemisphere that was ongoing for about 80 years. He united the people of Ecuador during the Cenepa War with his courageous stand against another border retreat by addressing the people with the famous phrase “Ni un paso atras!” which means, ‘not a single step backwards!’ Ecuador had slowly and continuously been shrinking under pressures of this border dispute for decades and its people needed a leader to stand and fight for them. He seized that moment boldly and changed history. He says he was successful uniting the people probably because he compassionately, “envisioned what the whole country was feeling at the time”. His leadership was centered on serving his people with a great sensitivity to their needs, creating modern reforms that led to a thriving private sector, reduced inflation FROM OVER 60%, to about 20%, led to a reduction in government deficit and wasteful spending. He brought Ecuador into the WTO, which bolstered the economy to new global levels of competitiveness, while avoiding the trap of foreign debt that most current governments now have. He did it amidst the challenges of not having the majority in congress, an unfavorable media and several false accusations of scandal. And he did it in only 4 years. Any former president of a nation that can walk freely without bodyguards or fear, passing safely in the streets, respected by his fellowman, says much about the imprint his morals and integrity have had on the people. They respect him; what’s more, they care for him. He says with great affection that, because he now walks aided by his cane, “they see me a bit weak, but you know… many people want to help me”. Although 20 years have passed since his Presidency, when people see him in public, they go to greet him, to embrace him, to take selfies with him. “They make me feel like movie star”.They want to help him, and are united because of the man he chose to be for them. In the face of fire, he stood. He says, “I can be proud that I united the country behind me, and that I have left an image of love rather than hate”. And what is widely known of his character is that he was one of the most honest politicians in the history of Ecuadorian politics. An amazing fact that testifies to Sixto’s honesty is in the area of government money management and in particular the use of his position to assert it. In all the 4 years of his presidency, his daughter, Alicia, worked with him as his personal assitant, side by side, but she never had a salary because she volunteered. Every time he was on a trip abroad, he came back with the “change” from his expense allowance and returned this to the Treasurer. The Treasurer never stopped being amazed, given that “during his 20 years with the Treasury he had never seen anything like it”. Another example is that he never used government vehicles for personal use, nor did he allow his government officials to do so. Not a single one of his relatives was elected to a government post. Even his daughter, who worked as his personal assistant, was a volunteer and received no salary during the four years of his Presidency. And he explained, “I never would have asked for her to be employed by the government to work with me. That would have been immoral. She wanted to help me, so, I AGREED. If traveling by commercial means, she always paid her own trip. I never would have expected for the government to pay her trip or anyone in my family…it is something that I have believed and I have practiced”. He would say that the Presidency was not an office he sought, but rather, it came to him. In fact, he says, “I don’t consider myself as leader, but more as a server”. All he desired was to serve the people with an honest heart. We asked him to explain how this works, and he responded profoundly, “To lead, you must serve.” And what he always says to young people is to get involved, even if it is hard or difficult, or even at times abusive to your reputation, “get into politics, and politics well interpreted…but when the goal is to serve other purposes – personal or business – then it is wrong”. We asked him how important it is to have people of integrity in office and he stated plainly, “It’s a must, or they will abuse the power.” As an example, when asked, ‘why did you want to be President?’, Sixto replied, “because I wanted to serve my people”. We asked him how he knows if he has done the right thing. He said that he knows by what it produces, but also because he tries not to rush decisions. His honesty in admitting that sometimes he might have exaggerated was refreshing, and also paired with making the decisions with the best intentions and his best judgment. Most importantly he said, “I did not follow impulse. I took the time to inquire. I tried to think the matter out.” He even chose cabinet members that were openly not his supporters, but were highly respected for their views. He surrounded himself with peers that would not just say ‘yes’ to him, but challenge him to see the whole picture. We asked him to share with us how he responded to an accusation, since of course, he had to face many situations of extreme opposition. He said, “one thing I had to learn ironcally, was to just answer with a ‘Thank you’, because when you are facing an unjust argument, engaging in it is a waste of energy”. Accusation has nowhere to go in the face of kindness and gentle humor. The alternative is like a fan to the flame. He shared a story of an encounter where he was called to congress and certain members began to accuse him and make very slanderous remarks against him, to which he replied earnestly to one, “how nice of you Mr. Deputy, thank you for your remarks.” He then proceeded with his business, as if it were insignificant. Indeed it was; the issue ended immediately. And then Sixto in his humor added, “it’s probably why I don’t have ulcers, I didn’t let the anger get the best of me!”. Of all his various offices and roles, we asked him what his favorite one was, and why. To that he responded without hesitating that working in city hall for 8 years, as elected Mayor of Quito, was the most rewarding position for him, and the most interesting period of his life, “because I could see the daily results of what I did and also, what I didn’t do. If I didn’t clean the garbage in your neighborhood, you knew. If I improved the roads in your area, you knew”. In comparison, the Presidency may have been the more important or influential office, but progress was not seen so quickly and riddled with obstacles. And working in the private sector may have been far more lucrative, but he always was moved by a sense of duty and repeatedly, accepted public positions. He chose to commit his knowledge of public works and infrastructure as Minister of Public Works. He used his profession, architecture and urban planner, to affect progress through a political office. For example, during the four years of his Presidency, he built the Panamerica road, which crosses Ecuador from North to South. It was a much harder road, but he assures the satisfaction was well worth the sacrifice. We asked him why he thought people don’t make the choice to live by integrity, and in his experience he replied, that often life situations are difficult and, “they take the easy way out and forget about integrity, …integrity is something that must grow, and needs a lot of will power”. But it cannot grow without practice. One of the stories he shared that was particularly insightful in terms of the rewards of patience, was set at a private luncheon where he was invited to hear another former president give a talk followed by press interviews. 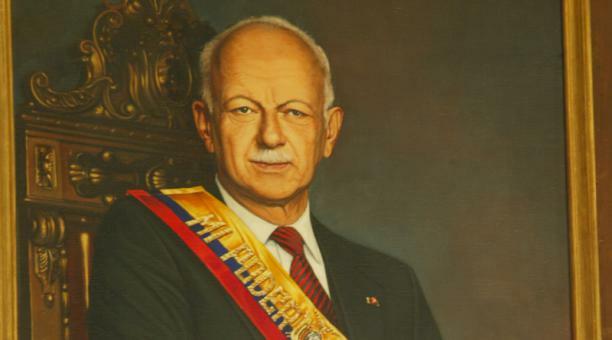 The other former president was President Sanchez de Lozada of Bolivia, who had been known to have a very successful presidency, and of all the questions the Ecuadorian press could ask, they began immediately to compare his success with the ‘failure of our President Durán-Ballén’. What ensued was the epitome of what many of us hope for when we’ve been wrongfully accused: to be the secret ‘mouse in the corner’ listening, as you are proven innocent. Without wavering, Sanchez illustrated to the press that they were without a doubt in error, and exactly why their reasoning was erred with specific documented facts. The press denied it by assuring they always documented their information and assured they were serious about their sources. They did not realize Sixto was there until Sanchez ended with, “oh yes… Did you document yourself with all of the intensity that you have just mentioned, while on two occasions, you reported that President Durán-Ballén had died??? … Yet fortunately, he is still with us here!! !” As he pointed to Sixto, the press was heavy with embarrassment. It is a fact that the truth always comes out or reveals itself, but sometimes we have to wait for it. “Think of Public Office as a position from which to serve others—not ‘serve yourself’. “Be true to your values; but be sure you know what are the values you hold, and apply them in your public life as well as in your private, personal life. This, more than anything, will show who you really are, your true character”. “Work your way up — start with a lesser position, such as city council, or province council”. “Get experience in Public Service in the smaller institutions; then, you would be better prepared to face the enormous responsibility a Minister or a Mayor, or a Congressman, or a President has”. One of the most important qualities of integrity is the undivided nature of it. Sixto is the same man in his public life as in his private life, and he advocates that it is essential. He has committed himself to consistency in relationships, and “leading a clean, organized, united family life”. He says that with his loving wife of 65 plus years, they have nurtured a family that now includes 23 grandchildren and 21 great-grandchildren. He says, “as a family, we have lived as an example which I think has influenced a lot of people”. We also had the pleasure to speak with his granddaughter, Carolina, who confirmed this. She said that, “he taught us not to abuse our position in society, we were not entitled to behave badly or to be dishonest because we were a visible family, one in government – the family of the President; we needed to behave with honor and set a good example”. And she proudly added about her granddad, “he always treated all people as equally, with respect and dignity”. At 90 years-old, he continues to give his time and insights generously for further development of Quito, while enjoying the wonder of being dad, granddad and great granddad. We asked Sixto where this foundation came from, and he affirmed, “My father was a man of integrity, and my mother too… I suppose the upbringing at home in a God-fearing and God-loving family has guided me”. His daughter Alicia shared that he is a true believer, an active member of the Catholic Church and tries to lead by serving the way Jesus did. This was tested when one of his 9 children, his daughter Tita, died of leukemia during his second campaign for Presidency. He exhibited a strength and courage that anchored the family and inspired his people as he continued to serve after losing the campaign. The tragedy of loss on the human heart, while simultaneously living through the extreme pressures of public office is enough to make most buckle, but it cannot be denied that this was a moment where the guidance of faith led him through the darkest of times. He shared with us one of the most important lessons about marriage that his father taught him: “Don’t go to sleep at night mad or resentful with your spouse. Reconcile first. Don’t go to sleep turning your back on each other without talking. Don’t go to sleep without saying good night, and adding some words of love”. Sixto said he and his wife have done this regularly throughout their 65 years of being together. And the love and respect they have for each other is very real and evident. He has taught his children that not talking is the worst thing you can do, that “you must have and understanding that we are not all the same, that you can be fair, that you can talk about it and arrive at least to a compromise or to give an opportunity to hear each other’s point of view”. He says the key is to remember that you love each other, and if you really do, you will swallow your pride. And when you do that, you find most times that you both end up laughing. As we closed our conversation, he thanked us saying, “I am grateful for this opportunity that you have given me to talk to you, and I hope that something of what I have said today can help you AND THE young people think about the future”. As unlikely as it would seem, he commented on regret. His only regret was not to have been able to do more. But Sir, with greatest respect, we believe that thus far, what you’ve accomplished in your life is enough for at least 2 or 3 lifetimes, and will remain a legacy of exemplary standing for all generations. Thank you on behalf of all of us now and in the future. Notation: this interview is dated June 2011. We deem it fair to repropose it today, in memento of Sixto Durán-Ballén Cordovez, who passed over in November 2016.